The Green Party of Pennsylvania (GPPA) stands against PA House of Representative Bill 33 (HB 33) which — if passed — will end General Assistance to the poor. This entry was posted in Green Party on April 10, 2019 by David Doonan. Greens are political activists and can be found in every movement for economic, racial and environmental justice as well as peace. They do not organize as Greens but as people who are part of the popular movement. The article below about the week of protests against NATO highlights Greens who participated, often as organizers with other peace and justice activists. 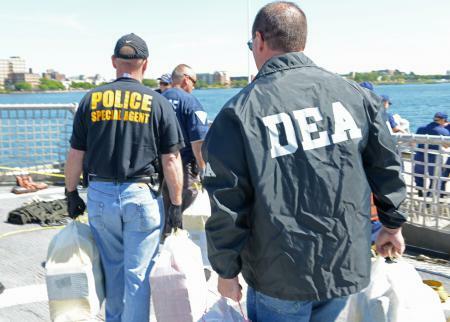 The Drug Enforcement Agency (DEA) announced this morning that it will close its doors and return its $3 Billion annual budget to taxpayers. Citing “epic failure” to reduce the availability of drugs and the agency’s role in destroying hundreds of thousands of lives both at home and abroad, the DEA has voluntarily relinquished its unconstitutional powers and disbanded. The Michigan Republican is gaining a national following as a Congressman who isn’t afraid to buck the Republican line, often going to toe to toe with the party’s biggest star, President Donald Trump. This entry was posted in Independents, Libertarian Party on April 1, 2019 by paulie. Recently, Bill Bayes withdrew as the Prohibition Party nominee for president in 2020. He had been nominated on November 13, 2018 in a conference call of party activists. A new such telephone conference will be held soon to replace him. Bayes lives in Mississippi and had been the party’s vice-presidential nominee in 2016.